Microsoft is apparently implementing a nifty change which will allow users to remotely install apps across all their Windows 10 devices via the Microsoft Store website. The idea here is when you go to the web page for an app you have already installed on one of your machines, you’ll be offered an ‘Install on my devices’ button. Clicking this will bring up a list of all the devices associated with your Microsoft account, and you can simply select any of these which you want the app installed on, right there and then. Or at least some users can do this, with the feature seemingly still in testing, according to a report from Bleeping Computer, who could pull off this remote install trick successfully. 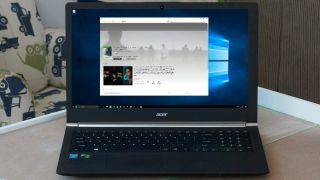 Hopefully the ability will roll out more widely before long, but it certainly seems there may be more tweaking to do, as when remotely installing Netflix to another PC, Bleeping Computer said it took around 15 minutes for the process to be fully carried out. Not exactly super-swift. Google’s Play store offers a similar ability to be able to remotely install applications across your various Android devices, and Microsoft did implement this for Windows Phone in the past, too. So it’s not a particularly surprising development, and certainly a welcome little shortcut for those who own a number of different pieces of Windows 10 hardware. Apparently the feature went into testing last week, according to related support documents perused by Bleeping Computer. Something else that’s coming to the Microsoft Store is better organization thanks to a new Departments drop-down menu, which makes clear distinctions between product categories, and highlights deals – functionality which is also currently in testing.